Australian cartoonist Mark Knight drew a strong backlash on Monday after releasing a caricature depicting Serena Williams‘ outburst at the U.S. Open final in a way many people perceived as sexist and racist. Knight, who works for The Herald Sun, insisted his cartoon did not intend to make any type of commentary on race. 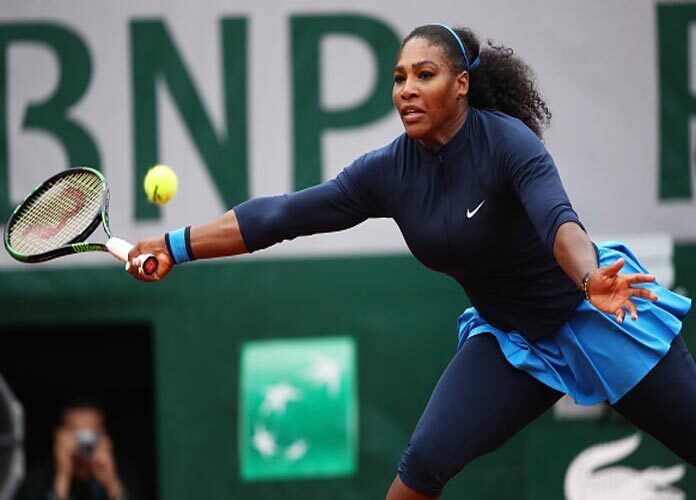 “The cartoon about Serena is about her poor behavior on the day, not about race,” Knight said in a piece on the newspaper’s website about the controversy. The Herald Sun‘s editor reportedly defended him. 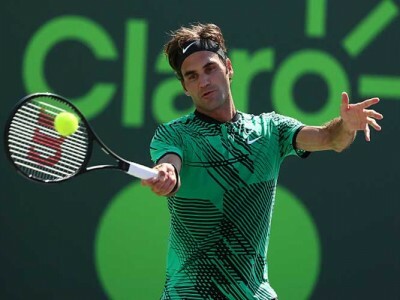 Dozens of tennis fans, American news outlets and celebrities like author J.K. Rowling quickly slammed the cartoon, saying it recalled old caricatures that typically portrayed African-Americans as apes or savages. “Well done on reducing one of the greatest sportswomen alive to racist and sexist tropes and turning a second great sportswoman into a faceless prop,” Rowling said of the portrayals of Williams and Osaka. The racist cartoon re: Serena at the #USOpen is a reminder that there remains a strong appetiteand acceptance for anti-blackness in the media and in segments of society. How did that even get published? Williams got into a verbal argument with the chair umpire late in Saturday’s final after she accused him of being a “thief” for stealing a game-winning point from her. 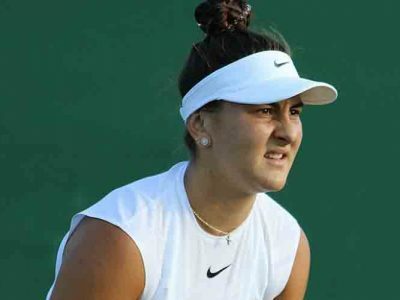 The 23-time Grand Slam champion believed the umpire was accusing her of cheating and was offended, so she complained to him and to other match officials and went on to draw a coaching violation. 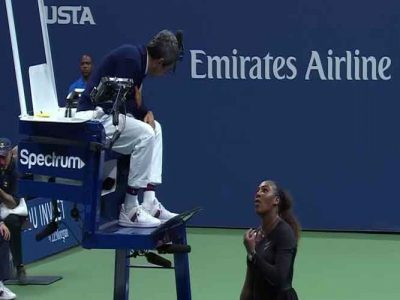 Williams was fined for “verbally abusing” the umpire and for breaking her racket by angrily throwing it onto the court at the end of the contest. The incident involving Williams rapidly sparked a major debate about sexism and racism in sports and how male and female players are treated and penalized differently for similar offenses. The U.S. Tennis Association and several current famous tennis players defended Williams, as did legends like Billie Jean King. Many other cartoonists and race experts also agreed with Rowling that Knight’s caricature was offensive, partly because the Australian artist has previously drawn other cartoons that were considered racist or sexist. According to the New York Times, Knight’s Twitter account was no longer active on Tuesday. Earlier this year, the Australian released a caricature depicting African-American youth as violent and engaging in destructive behavior in a subway station in his home country. The cartoon was meant to condemn Minister Jacinta Allan, a local politician who banned advertisements of television news company Sky News in public spaces like train stations. However, the image ended up receiving more criticism for the portrayal of the black youngsters.